Your dear old dad: your cheerleader, provider, playmate (and likely dispenser of unsolicited advice). As we approach Father’s Day, the race to get dad the perfect gift is on. In terms of retail, Father’s Day is heartily eclipsed by other gift-giving events like Christmas and even Mother’s Day (sorry Dad). That doesn’t mean that wallets don’t get emptied or impulse purchases don’t happen. There are varying sources of data, but the general consensus is that most people plan to spend around $100 on cool dad-centric gadgetry and gifts, like tools, ties and man toys. The best gift you can give to Dad? Let him know you were actually listening to him for all of those years that he was preaching financial responsibility to you. As one of two chief executives of the Bank of Mom and Dad, make yourself his employee of the month by employing and executing some sound fiscal reporting by setting a budget and sticking to it. Granted, all dads are different, but most dads I know are decidedly pragmatic. When setting your gift budget, make sure that you are giving him something he needs and/or wants. Blowing the bank on something that will collect dust/ sit in the drawer is tantamount to throwing away money, and there isn’t a dad on the planet that’s cool with that. Gift certificates are tailor-made for dad. Dollar for dollar, you’re not going to get better value. What is your most precious commodity? Most likely time. Give dad the gift of your time this Father’s Day. It’s cheap on the cost, but huge on the impact. Make the day about him. What would he like to do? Round of golf? Wash his car? Walk in the park? His choice! The way to dad’s heart is directly through his stomach. Show him some Father’s Day love by filling his belly with yummy things. Fire up the grill for a BBQ dinner, or whip up a show-stopping brunch. Does dad have a sweet tooth? Bake dozens of cookies or cupcakes. Enjoy some now and put the rest in the freezer to enjoy in the weeks to come. There are a lot of good reasons to avoid restaurants on Father’s Day. There are huge lineups, you may be wanting for service attention, and then of course there is the cost. If you have your heart set on going out, then head out for coffee and dessert or drinks and appetizers instead of a full meal. You still get the social benefit without the full meal price tag. There’s no question about it – budgets are stretched thin these days. Debt levels are high and savings levels are low. 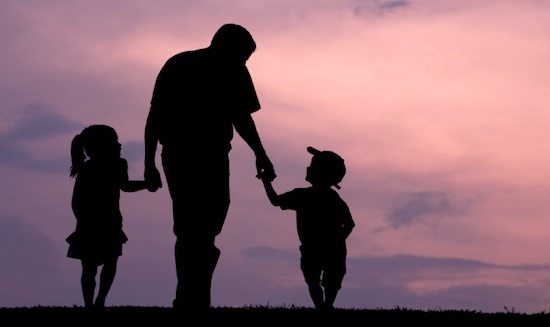 Investing some time and thought into your Father’s Day gift will minimize the odds that you’ll blow money on an expensive (and likely useless) impulse purchase. In the end, probably the best gift you can give dad is to not accumulate debt on his behalf. Need help paying down debt and setting up a budget that dad would be proud of? Call one of our trained credit counsellors at 1-888-294-3130 or check out our free online debt analysis tool to get started.